Lisabeth Lewis refuses to acknowledge that she's anorexic. She can't be--especially when that voice inside her head tells her she's not nearly thin enough. So Lisa pushes away her best friend, her boyfriend, and the hunger pains, unwilling to face reality. And then things get strange—a man delivers a package late one night, and soon she starts seeing a set of scales everywhere and a horse in her garden, both completely invisible to everyone else. It's then that she discovers she is the newest Horsemen of the Apocalypse--Famine. Lisa's intimate knowledge of hunger and its pain may make her job a little easier and it may provide a bit of an escape from her messy life in the real world, but it sure won't let her duck her own internal problems with food, hunger, and her eating disorder. Hunger is a gripping and unforgettable read, and Kessler gives The Four Horsemen of the Apocalypse an unexpected and modern update in a very relevant way. Lisa's fellow Horsemen are very engaging characters themselves, especially Death's personification, whose laid-back style and philosophical questions are quite unexpected, but thought-provoking. Through various trips around the world atop her steed, Midnight, Lisa learns that her powers aren't necessarily a bad thing, and finds a way to actually help people. This discovery leads her to see food in a completely new light and acknowledge that her friend's bulimia and her own anorexia aren't healthy, nor right. However, Kessler isn't offering Lisa an easy supernatural fix in being Famine. Instead, she uses Lisa's experiences to enforce the idea that a person can't change unless they want to. Only after Lisa witnesses world hunger on a large scale and stands up for herself and for her convictions can she find the strength to do the hardest thing of all--get the help she needs to get better. Therein lies the power of Hunger and its message, making for a provocative and affecting story. Cover Comments: I like how the scales are used in the cover a lot--it's very dark, but with a cool urban fantasy vibe. I like it a lot! What led you to write about the four Horsemen of the Apocalypse? Writing about eating disorders is very personal to me because I used to be bulimic. The more that people know about eating disorders—what they are, and what they’re not—the more likely it is that people suffering from them can get the support they need. That’s why I’m donating a portion of proceeds to the National Eating Disorders Association. 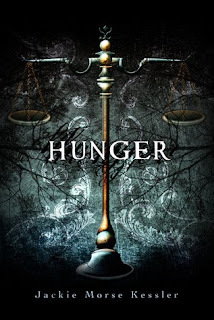 Was it difficult to strike a balance between the fantastical elements and the very real issue of Lisabeth's anorexia while writing Hunger? JK: Writing HUNGER was less about the Four Horsemen of the Apocalypse than it was about the protagonist’s anorexia. So I focused on the eating disorder and blended in the fantastical elements. The book may be closer to magical realism than to urban fantasy. What was the hardest part about writing Hunger? The easiest? What book (or books) have you read recently that you would recommend to your teen readers? Are you planning on writing any more YA books? JK: I’d like to! After the Riders’ Quartet (I’m currently writing book three, LOSS), I have ideas for two loosely connected YA novels, as well as a middle-grade story idea. What advice would you give to someone who is anorexic or someone who has an anorexic friend? JK: Did you know that supermodels get Photoshopped? Think about that. People whose job it is to be as gorgeous as possible get Photoshopped. If even supermodels can’t live up to this notion of beauty we have, then who can? No one. It’s not about being thin. It’s not. It’s about being healthy. And it’s about loving yourself for who you are instead of hating yourself for who you’re not. If you have an eating disorder — maybe you starve yourself, or you binge and purge, or you over-exercise, or you eat to bursting — please know that you are not alone. Millions of people suffer from eating disorders. Maybe you don’t, but your good friend does. Whether you have an eating disorder or you think you might or you know someone who does, please know that there are people who understand exactly what you’re going through. And you can get help. Contact the National Eating Disorders Association and find out how to get the support you need, whether it’s for yourself or for someone you know. Life is way too short for us to look in the mirror and hate what we see. I second the Vera Dietz rec! Oh, I cannot wait. Just popping over to Goodreads to put Hunger on my TBR list. Thanks! Great interview. I read this awhile ago and have to say I was blown away about the way that the eating disorder and the fantasy elements were blended. A small but potent book! I can't wait to read "Rage." I cannot wait for this book to get to our library!!! 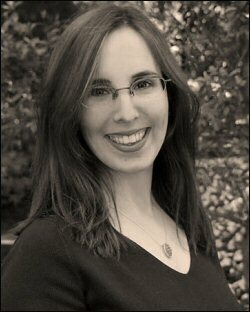 And thanks for the interview -- Jackie Kessler is so awesome! I adored this book, I'm getting ready to read Rage, and I'm looking forward to the last two. Such a great premise, glad you finally went for it! I enjoyed this series of books. Teens should enjoy them but also adults as I am myself if you enjoyed twilight, hunger games, I think you would enjoy this series also.